Umbrellas and scarves – Who the fudge is Benjamin Judge? The thing I lose most frequently is umbrellas. Before I could drive, and was more reliant on public transport, I could get through two or three a month. Eventually I started buying them in bulk at IKEA. If you are looking for the sweet spot where affordability and durability meet, they are your guys. Good meatballs too. 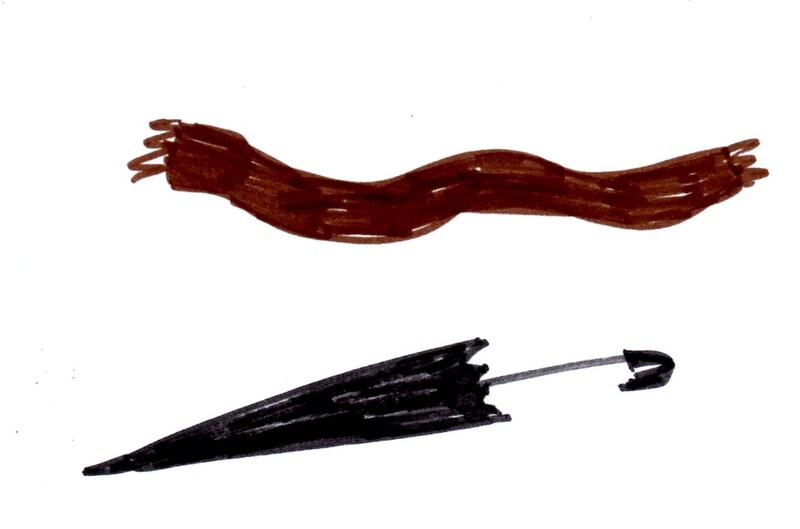 Second to umbrellas is scarves. Again, public transport swallowed most of them, but bars, pubs, libraries and cafes took their fair share too. The one I miss the most was a nice mix of several browns and knitted by my mother-in-law. It was short enough not to flow down to my stomach. When you are slightly overweight (and I was at the time) that can be the difference between looking suave and portly. I only forgot about it for two minutes. I only got as far as the ticket gate. But when I returned to my seat it was gone. And no, it wasn’t handed in to lost property. I checked. Some bad egg or other wrapped it around their neck and sauntered away with it, the rotter.